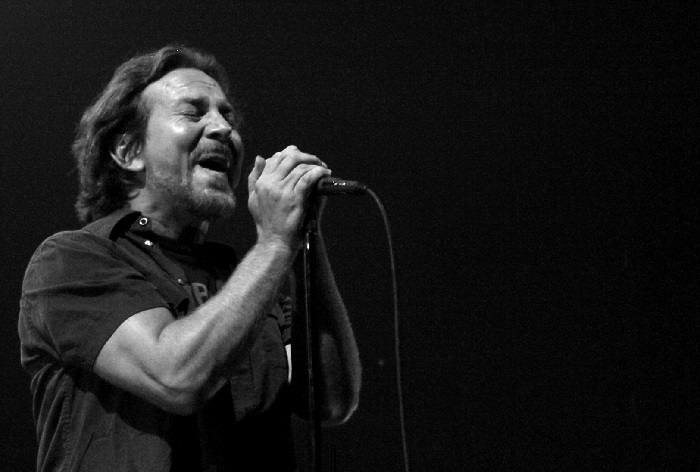 Come September, Eddie Vedder and the guys of Pearl Jam will perform two concerts at Boston’s Fenway Park. In honor of the gigs, the group will release a live vinyl album recorded during their legendary 1994 show at Boston’s Orpheum Theatre. The vinyl record, titled “Live at the Orpheum Theatre — April 12, 1994,” was actually recorded just a week following Nirvana frontman Kurt Cobain’s death. Look for the release to arrive on Aug. 31 via Boston’s Newbury Comics. The record, which is limited-edition, will be pressed to 180-gram black vinyl, also 100 random versions will have the vinyl on red and blue vinyl, which are the colors of the Boston Red Sox. “Live at the Orpheum Theatre — April 12, 1994” is available for pre-order via NewburyComics.com. Pearl Jam will perform at Fenway Park on Sept. 2 and 4, and those also mark the final dates on the group’s late-summer U.S. stadium tour.